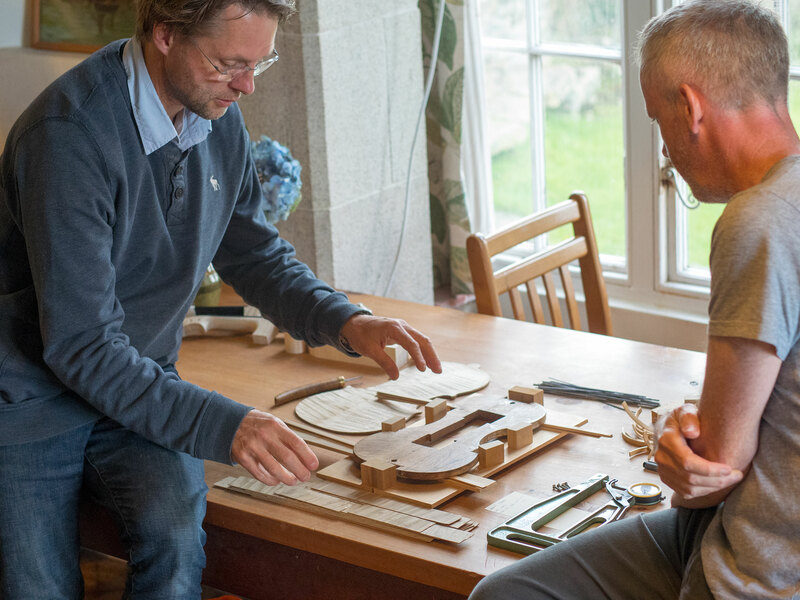 Peter (left) and Mark (right) discussing the steps of the violin making process. The workshop site has been chosen with care, ensuring the space has enough light for the makers to work. This temporary studio is in fact in a downstairs kitchen with fabulous views of the Atlantic Ocean: an unusual and inspiring setting. Setting up the IMS workshop from IMS_Violin2017 on Vimeo. 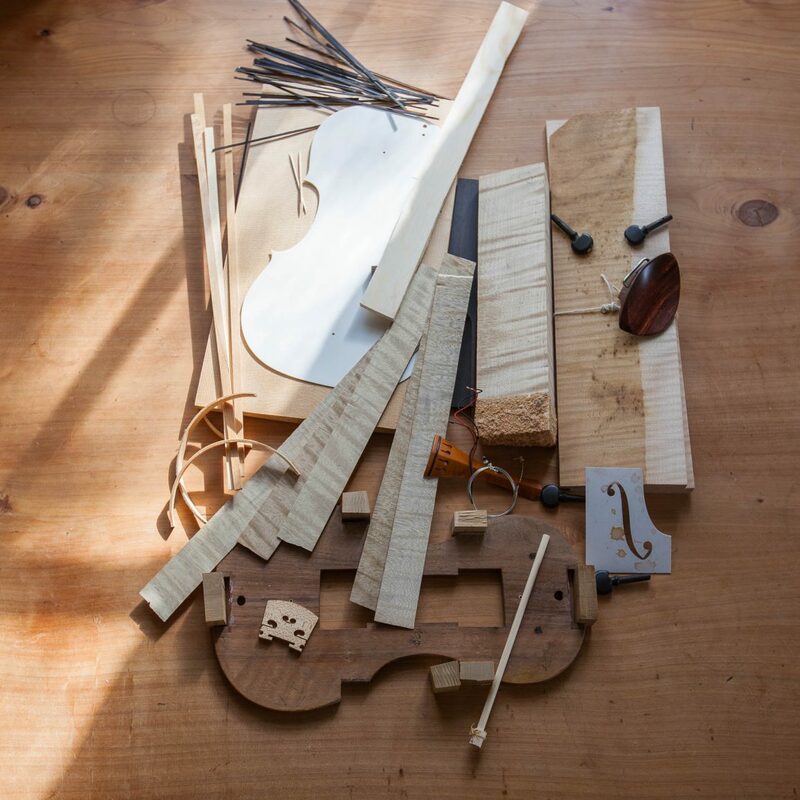 – The wood for the back, scroll and ribs of the violin all come from the same maple tree. The use of maple wood is a long tradition in lutherie, favoured above fruit tree wood which in theory could provide a suitable alternative. – The top of the violin is made of spruce, a vital part of every string instrument including guitars and harps. A piano’s soundboard is also made almost exclusively from spruce. – The wood for this violin was bought by Peter in Mittenwald, Germany, around 20 years ago. The choice of wood is a fascinating process, and Peter is unusual in not considering the wood to be of much significance to the sound of the instrument. Instead, he pays close attention to the structure of the wood and how the tree is cut, as well as the visual beauty of the wood chosen.